I received the item mentioned below in order to facilitate my review. All opinions are my own and may differ from yours. 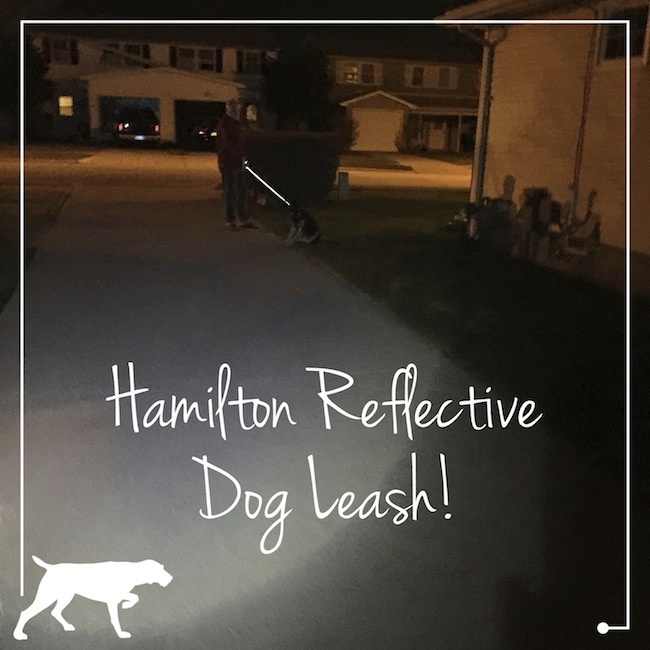 When walking the dog at night, we use the Hamilton Reflective Dog Leash in order to be seen in the dark. With two highly reflective threads woven into fashionable striped patterns, there is no doubt that cars will see us. Have you ever been driving at night and not seen people walking until you are right up on them? I have many times and it’s no wonder that these people have not been hit. Even with light colored clothing on, it’s still hard to see them. What makes it worse is the fact that Harley is mostly black. Even though there are street lights, it is still really dark when walking down the street. The Hamilton Reflective Dog Leash is made with premium grade nylon and strength tested hardware. 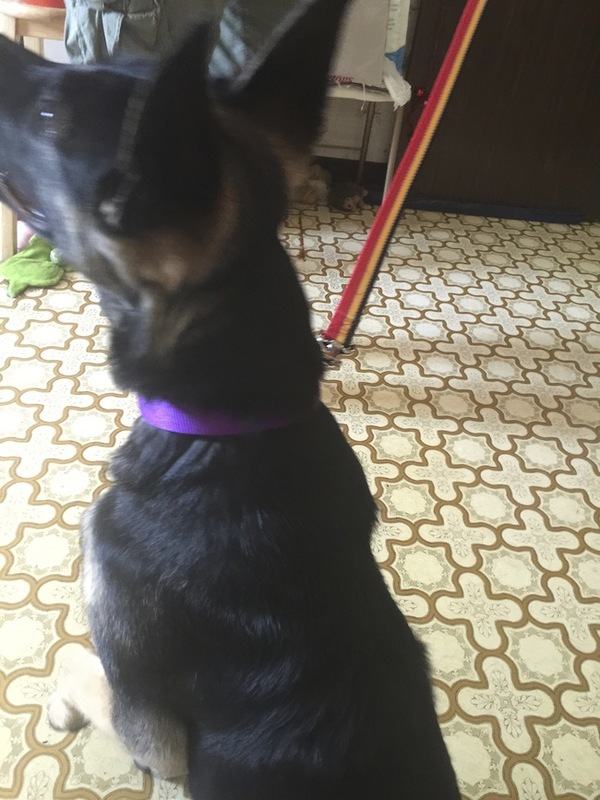 You can see in the picture above that the clasp above that it swivels, so when the dog turns, the leash doesn’t get tangled. 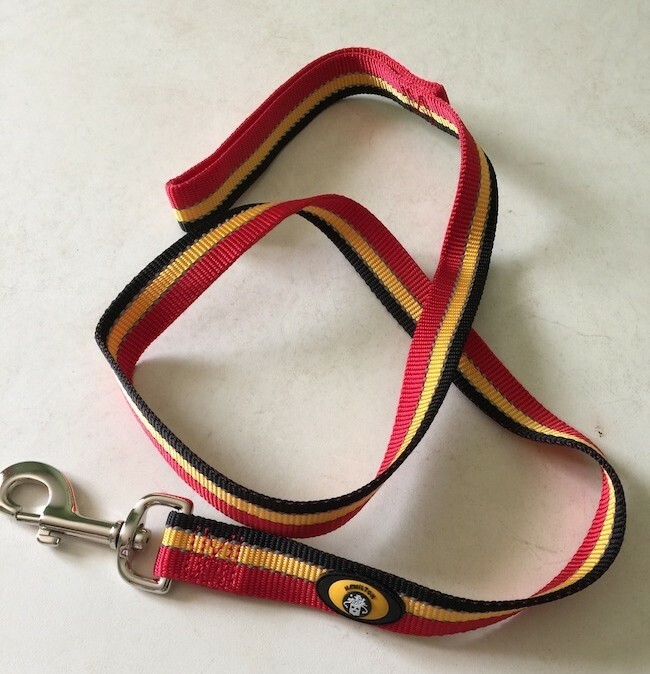 The Hamilton Reflective Dog Leash is available in four colors and comes in a 4 foot or 6 foot length and 5/8 inch or 1 inch wide. We received the 1 inch wide, 4 foot long which is perfect for walking up and down the street. As you can see in the photo below, I am probably about 25 ft away and it reflects so you can it. It’s still hard to see me and Harley because of the dark colors, but it will give people a heads up that someone or something is there. 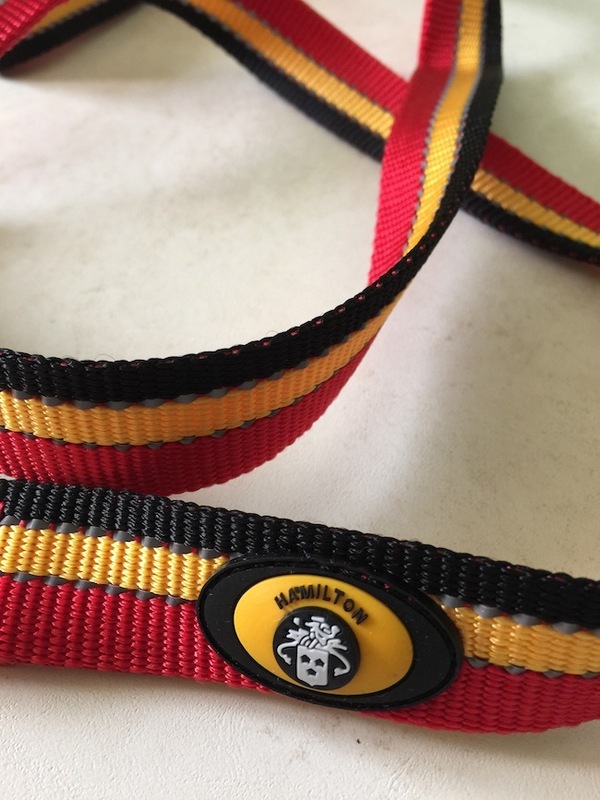 We are no stranger to Hamilton Pet Products though, we have been using the Hamilton Adjustable Dog Collar for awhile now. You can find out where to buy one but most Petco stores carry the Hamilton products. You can also purchase on Amazon and PetandHorse.com. 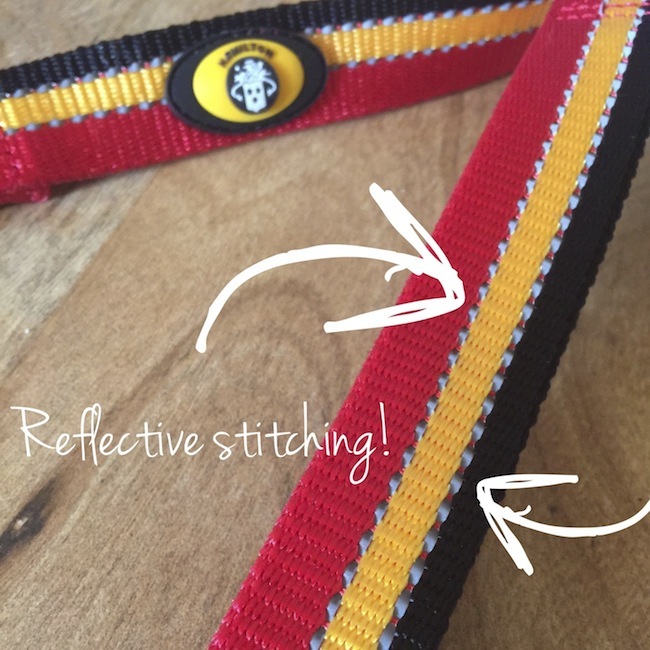 Topic: Hamilton Reflective Dog Leash!